Capcom is on a roll right now with the Resident Evil 2 Remake being warmly received and now with Devil May Cry 5 gaining much praise across the board. My first experience of Devil May Cry was when the first one came out in 2001 and my memory of it was a stunning game full of insane monsters and absolutely jaw-dropping combat. 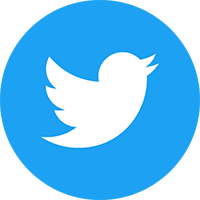 I may be looking back through rose tinted glasses but I remember streaming together endless combos where I would remain in the air for minutes on end destroying everything in my path. Whilst my memory may have exaggerated things slightly over the years this is the sort of experience I was expecting from Devil May Cry 5. So does it deliver on the above? Well kinda, the combat is certainly at the high end of the bonkers chart but there are certain things for me that also let the game down. 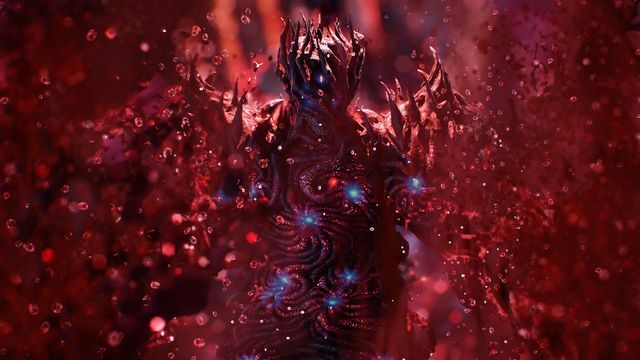 First off the story (without spoilers), a demonic force is trying to take over the world, in this case, the Demon King Urizen is using the Qliphoth, a giant demonic tree that feeds off human blood to do his dirty deeds. It’s up to Dante, Nero and new playable character V to take him down and restore the balance. There are twists aplenty in the story which should keep die-hard fans of the series happy and they are worthy of the greatest soap operas out there. The first 30 minutes or so is all about scene setting and getting the player used to the game. This is a very stop-start affair and for me is way too drawn out, just as I felt I was getting going and the game was opening up there would be another cutscene which I felt obliged to watch. The cutscenes are nicely made but there are far too many of them throughout the game, and I felt that they really reduced the feeling of frantic action that the series is famous for. In total there are 21 missions to play through and many levels have hidden areas and missions encouraging exploration. There are plenty of hidden caches of Red Orbs (the main in-game currency used for upgrading skills and weapons) scattered throughout the levels and you’ll need to find these if you want to unlock everything in your first playthrough. The levels themselves are also pretty standard. They range from cityscapes to underground demon lairs. They look pretty but are all rather linear despite the hidden areas. I found that the majority of the latter half of the game looked much the same and this only added to the slightly grindish feel of the later levels. There are three playable characters to use throughout the game, Nero, V and Dante. Nero is similar in style to the original Dante but with a few twists. He has lost his right arm and this is replaced with one of many Devil Breakers. Devil Breakers are prosthetics with various combat effects and you can unlock more as the game progresses. The Devil Breakers add a nice variation to the combat and learning what Breaker to use in each situation takes time and practice. You can only carry so many Devil Breakers at a time and although powerful they are also fragile and if an enemy hits you whilst you’re using it the Devil Breaker breaks. There is also no option to switch freely between the Devil Breakers so your choice of loadout at the start of each mission can make a big difference. V uses three demon pets to do his damage as he is physically frail. He uses Griffon, an eagle that uses ranged lightning based attacks, Shadow, a panther that forms blades, spikes and portals out of its body, and Nightmare, a large golem that uses a combination of melee attacks and laser beams which V summons when he enters a Devil Trigger-like state, turning his hair white. Dante is by far the most varied and fun character to play with. He can equip multiple ranged and close combat weapons and can switch them on the fly. He can also use 1 of 4 battle stances with their own strengths and weaknesses and they can also be switched at will. 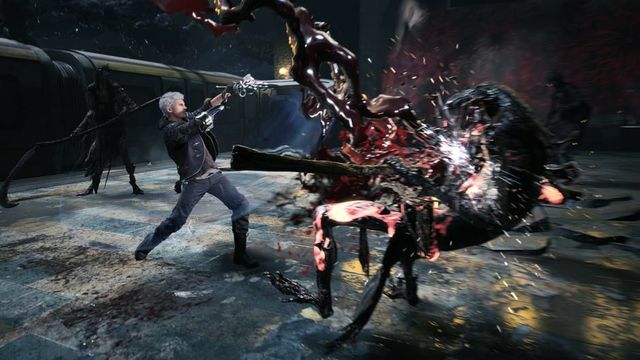 Each character fills up a Devil Trigger meter during combat and once filled can be used to unleash devastating attacks. Now for the most important bit, the combat! This is definitely the saving grace of Devil May Cry 5 and if the combat wasn’t so exquisitely insane the game would have been a flop. Each weapon has its own combos that you will need to learn to get the most out of it and they can be very complicated to learn given how many weapons and combos there are in the game. Thankfully there is an ‘auto’ mode that allows players to simply button bash to string together brutal combos. Though the combos are hard to learn I would recommend doing so as the auto feature removes all challenge from the game making even the toughest of boss fights a walk in the park. To this end, there is a practice mode accessible from the main menu where you can practice your skills before you go into battle. The combat is brutal, crazy and satisfying, especially when playing as Dante. His combos are quite frankly ridiculous and I never would have expected to see a motorbike being used as a sword in a game, yes you read that correctly! In summary Devil May Cry lives up to its hype and delivers a really satisfying experience. I feel the numerous cutscenes get in the way a bit and the environments can be uninspiring at times. However the combat makes up for these minor foibles and I could quite happily spend all day mowing demons down in super stylish fashion with my motorbike sword! 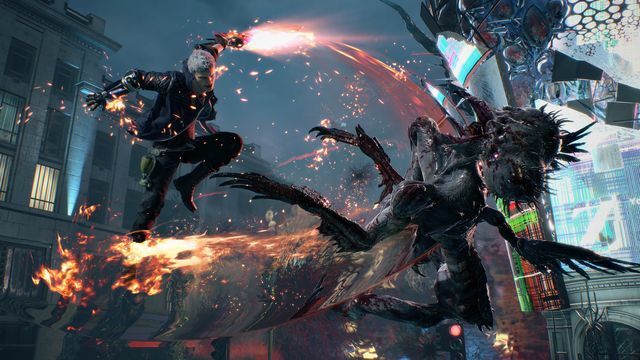 Devil May Cry 5 was reviewed using a digital code supplied by the publisher.